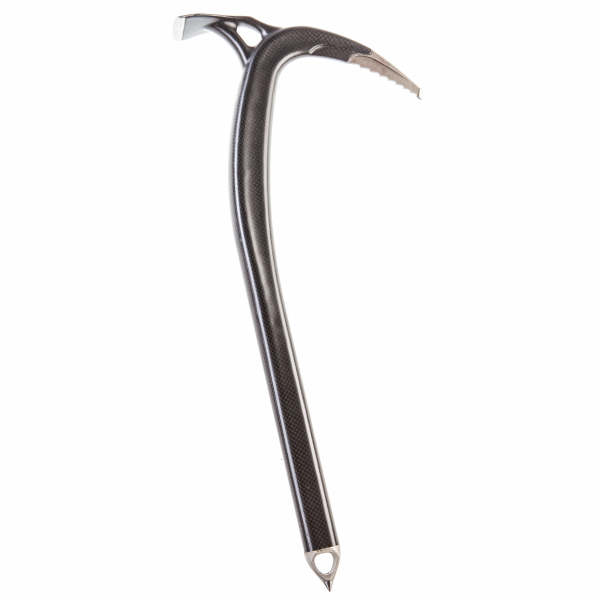 View cart “Ice axe IDOL” has been added to your cart. – Certified EN-13089 and UIAA-152. – It is certified, patented and the winner of ISPO award. IDOL was designed for ski touring, free ride and any mountaineering activity where the weight plays a key role. The combination of its light weight and durability makes it a unique choice of ice axe. IDOL, at the weight of 188 g and the length of 50 cm, is the lightest ice axe in the world. The carbon shaft of variable cross-section is much lighter and stronger than its aluminium analogues. The carbon shaft has a monocoque structure with the head at its end. The modern design of the head ensures both “European” (adze forward) and “American” (pick forward) styles of gripping. The carbon material absorbs mechanical vibration and provides thermal insulation thereby ensuring the maximum comfort to the user’s hands. The variable cross-section facilities the even distribution of load and ensures the axe can withstand extreme forces under dynamic load. 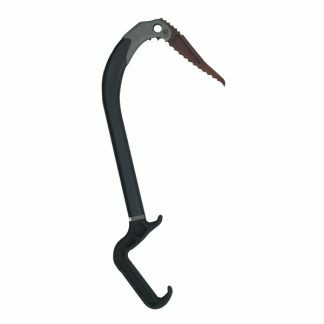 The curved shape of the tool protects hands from touching the surface of the slope and does not impede when walking or making snow anchor. The pick with its unique shape and optimisation of the centre of mass ensures easy penetration into the hardest ice. 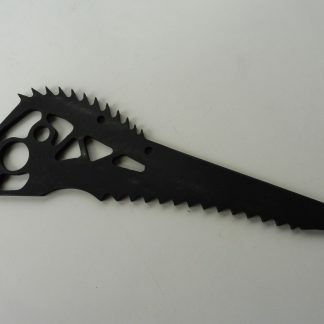 The adze and tip are made from titanium alloy, the pick is steel and the spike is made from aircraft-grade aluminium. IDOL is the winner of the prestigious world competition ISPO BRANDNEW AWARD in the category of winter hardware.